An alternative to pre-completion sound testing to meet Part E of the Building Regulations. Robust Details were set up in 2004 to help architects and building contractors design and construct separating elements with confidence. The guidelines set out within Robust Details provide separating floors/walls that are capable of achieving the sound performance parameters in Approved Document E, whilst complying with Building Regulations. 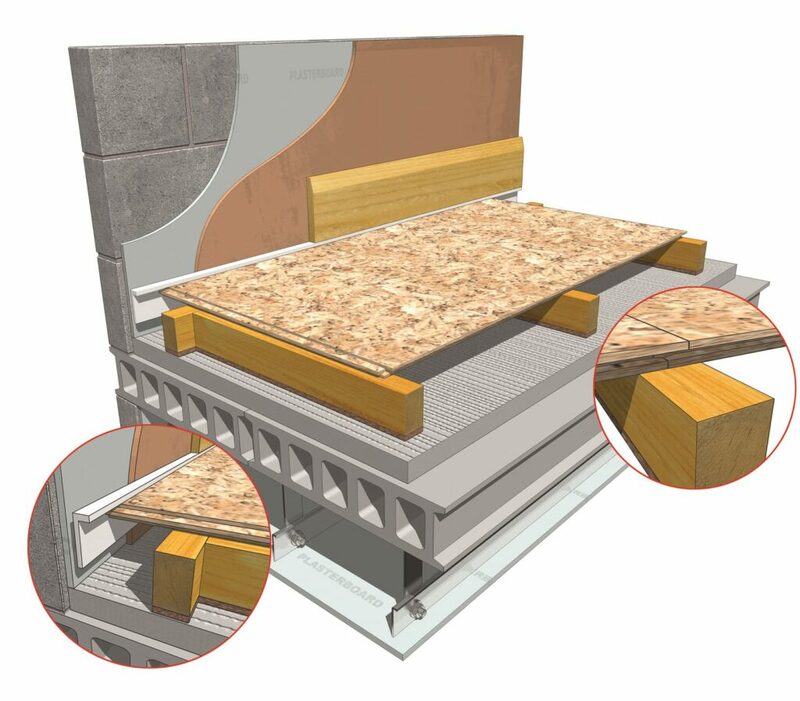 Robust details have been pre designed to exceed building regulation requirements. 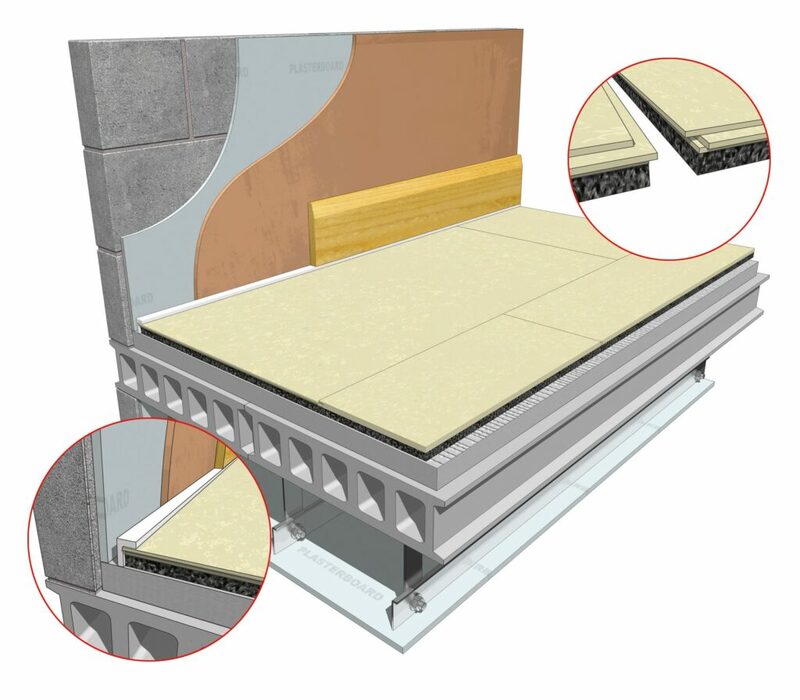 A separating floor or wall construction can be selected from the Robust Detail handbook. These designs have undergone extensive testing to ensure they achieve an average of at least 5dB above current building regulations. On choosing a Robust Detail construction, a registration fee of £30 per plot must be paid to Robust Details Ltd. The purchase documents can then be submitted to building control for their approval. Robust Details Ltd provides a specification and checklist to ensure that the construction is carried out correctly. Robust Details Ltd employs specialist acoustic consultants nationwide who monitor the construction and performance of the separating walls and floors during the construction process to ensure compliance. 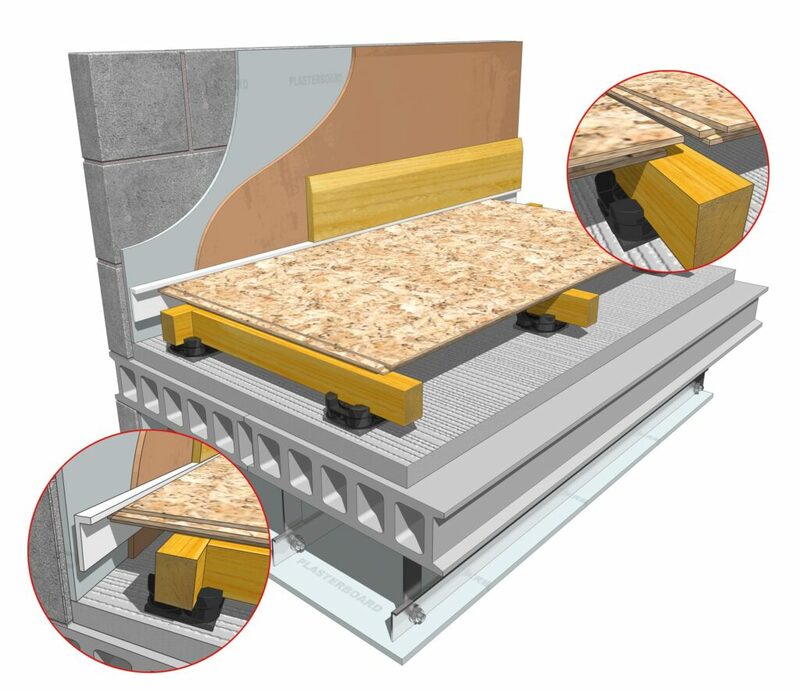 The Acoustic Batten 50C is ideal for concrete FFT-3 Floating Floor Types: E-FC-1, E-FC-2, E-FC-7 and E-FS-1. 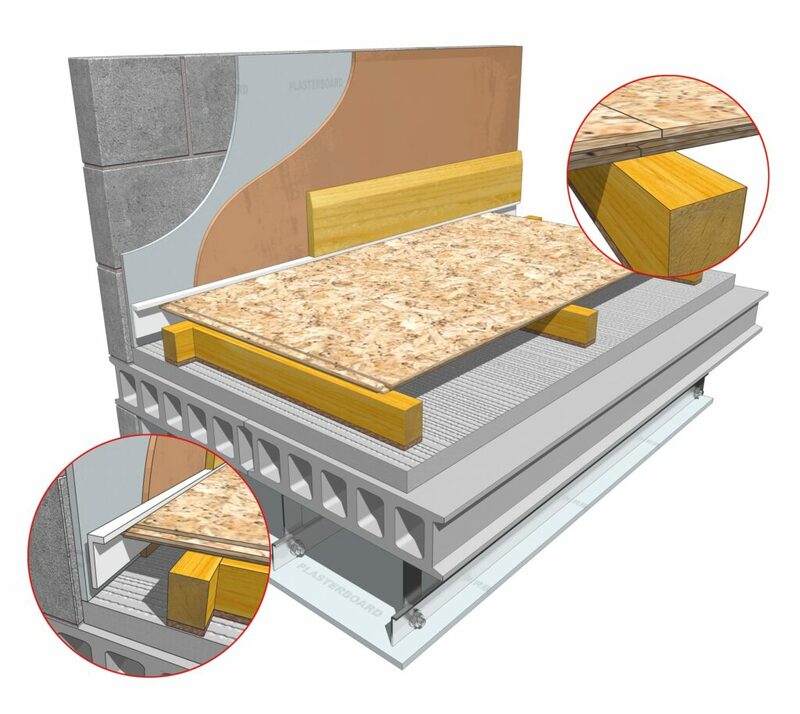 FFT-5 resilient acoustic floor systems can be used in E-FC-1, E-FC-2, & E-FS-1 separating floors.